Did the Google Panda Update Kill Niche Websites? On October 13th/14th, Google made some adjustments to their algorithm again that has effected lots of website owners. I have gotten lots of questions and comments about how this has effected my own sites, and what this means for the future of niche websites; so I wanted to make a post dedicated to this question. The truth is that it is rumored that Google may have made some changes on the 20th as well. The reality is that Google is going to continue making lots of changes to how websites are ranked. I don't have all the answers and don't even pretend to be an expert on any of the Google Panda updates. All I can do is share what I have seen with my sites. For the week after Oct. 14th compared to the week before the 14th, I have seen about a 16% drop in income from Google Adsense. However, I am seeing signs that this is actually improving over the past couple of days. So, we'll see, but overall my income from this month could actually see only a very small decrease (less than 5%) over last month. Despite this income drop, I am actually noticing 2 distinct differences between my newer sites and my older sites. My sites built in the past few months did not see any loss in rankings and some of them have moved up in Google quite well. So, my newer sites are actually growing in income and doing quite well. However, my sites that are a year or older actually took the brunt of the Panda update. This is quite interesting to me because you would think that older sites would have more authority in Google's view. Although I saw quite a few drop in rankings on some of my sites (which I share below), I have seen significant improvement back up for lots of those sites. So, its hard to say, but in a week or 2 my income may be right back to where it was. So, overall I definitely saw some movement on a few of my sites, but overall, it doesn't appear to have drastically effected my business. 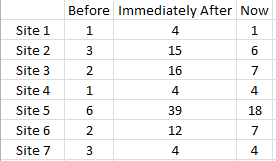 Now I wanted to share a few of the rankings before and immediately after Panda. Then I will share where my sites are now (recovered). Obviously I have a lot more sites than 7, but I share these 7 because these have had the most impact on my earnings. As you can see some of them dropped a little, but have come back quite well (for the most part). So, even though my income is down comparing the week prior to this Panda update and the week after the Panda update; my income is almost back to where it was before due to these recovering sites. The other interesting thing that I will note about the changes in my rankings due to Panda is that the sites that now appear to be ranking better are primarily larger brands. It appears that Google is favoring larger brands more even though they are not targeting the keywords very well. Aaron Wall on SEOBook.com wrote about Google loving Big Brands back in February. So, I guess I shouldn't be so surprised. So, what does this mean for niche websites? Well, honestly its hard to say. 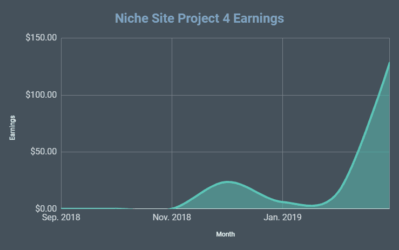 My overall income may not be effected hardly at all when this is all said and done, so I'm certainly not saying that Panda killed niche websites. In fact, all my sites built in the past few months are doing VERY well in the search engines. So, I will continue to build new sites and continue to build links to my old sites that were effected to help them recover a bit more. Of course, this always does bring up the conversation of what exactly Google is looking for. We know they want quality content that is useful to the end user and I think we should always strive to achieve that. Niche websites will be around for as long as Google is around. However, here are some great guidelines that Google provided not too long about how to create a better quality site. So, Google will continue to make changes and we will all be required to change right along with it. This is nothing new. Here is a post I wrote a while ago about the very Real Risks associated with building niche websites. Its a risky business (but aren't all businesses?). Perhaps a less risky approach would be to focus on finding one niche that you can build a large authoritative site on. However, this also has inherent risks as LOTS of these types of sites were severely penalized by the recent Google Panda update – read some of the horror stories here. Again, I'm no expert here. Just sharing my thoughts. Overall, my sites are now performing essentially as usual after the update and my business is still bringing in much more than my old day job used to – so I'm happy! Have some additional thoughts to share? Please leave a comment below! My Google Adsense iPhone App is Complete! How My Niche Site Ranked #1 in Google in 62 Days! It does seem that having huge amounts of content in order to add to the original targeted pages and capitalize on many keyword combinations that never occurred from research might be valuable as time goes by and these “updates” from Google keep happening. All of my sites stayed the same except my biggest site which fell from #1 to #4. But I’ve started building larger sites because I believe that’s what google wants, plus I find it personally a lot easier to manage. 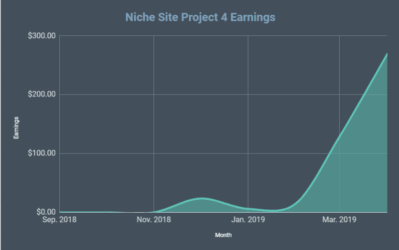 I don’t think that niche sites are dead, but you always need to try to “game” the system by new link building strategies instead of just providing quality content which should be the main focus. Isn’t it interesting that for both you and me it was our bigger sites that saw a drop in rankings? Like I mentioned my newer/smaller sites are performing well and were unaffected. It seems like perfect sense for Google to favor larger brands due to their PPC advertising they probably do on Google. Even though the whole “do no evil” mantra sounds nice, they are a business just like any other. Organic search is probably tweaked to give weight to these sites taking into consideration any ad spending. As competition gets tougher for ad spending between the big three – Bing, Yahoo and Google, theres a good chance Google will continue tweaking to favor these larger brands. I dont really believe in the “organic search” that Google uses, it actually hurts them financially to keep it 100% organic. Should I abandon niche and go authority with niche focus?? many pages, articles, etc. I wouldn’t abandon “small niche sites”. If you read my post about, it was actually my older/bigger sites that were hit the most. I think you should GROW you top performing niche websites into bigger sites though. There is no conflict between not being evil and having brand sites dominate the top of google rankings. Go authority, but think brand authority, not keyword ranking authority. Don’t get me wrong, you should create keyword focused content, but make sure that content is the best for that keyword. Stop building niche sites, or at least don’t waste your own time with niche sites – hire someone to do all the work if you still want to build niche sites…just stay focused on your “authority site”. I had my largest niche site drop to #5 which scared me, but I added a campaign on UAW and a video on the site and it’s back to #1 and making even bigger strides. I truly believe that the future of this business is in the authority sites. Including what Spencer talked about with Google loving big brands. If you create brands around your sites, I believe you’ll see large success. Even with a handful of authority sites, you can make a large income. Look at Spencer. 5 of his sites are bringing him over $10K per month. This is what I plan to focus on. Anyways, good luck to everyone out there. Perseverance is key in ANY endeavor. I agree, but it was it your smaller site or your larger site that was hit by this update. Sounds like your larger site which is just interesting to note. Yeah, it was the largest of my sites. But as it is, it’s not necessarily a “big” brand yet. It’s still less than a year old. One of my big sites got hit by Panda in Sept but I had to re-SEO it to get i back in the game…It was hard work but it definitely paid off. Google is changing and i think that i will put some attention to my best sites so i can decrease the bounce rate to 40%-50%, since im using Google analytics this will help me a lot. In the graphics the part that you have some of the most permance sites low below top 10 make me thinking why are you not building more links to them since you have all the budget for that. I am just getting started in really working on niche categories. I have a wide array of sites, most set up for CPA offers that I threw some adsense on. My income from my core 10 sites has dropped from $10/day to less than $2.00 but other sites that never ranked on the first page and haven’t had any attention in over a year are now producing erratically. One site that never produced any income in the last year did $5 yesterday and $20 in the past couple weeks. I set it up over a year ago for a CPA offer that was eventually pulled so I let it languish. Go figure. I haven’t seen such an impact actually, mine were actually climbing after the update… weird. As mentioned, some of mine have been climbing after the update as well. I noticed several of my sites dropped in the SERPs, but most stayed right where they were. The ones that dropped, only lost 2 or 3 positions at most, and with some .edu backlinks and article submissions, they are coming back. So because a lot of my posts are with keywords with low competition (and with hundreds of posts with those keywords my traffic has and position in SERPs has stayed the same. Hi Spencer. I’m sorry if my question is too basic but how do you exactly find what your site’s ranking is?. Do you just type the keyword in google and browse until you find your page? or do you use a service to get it? Thank you! Long Tail Pro allows you to check your rankings. Also, you can use the Rank Checker plugin for firefox. There are lots of other tools as well. Over analysis will kill you. I started clicking on links here and shouted stop. What am I doing. Can’t take all this in. Yeah a couple of old sites popped up from nowhere today and got a click each but that happens from time to time. anyway. I have given up anyalising to the Nth degree though. This is meant to be a financial freedom thing and not a science. If my revenue suddenly dissapeared then would have a good look, but no it fluctuates but evens out over a period of time and is consistant. Some lose, some win and some that were winning lose and vice versa. Nothing suprises me anymore so will continue to build sites that are spawned from good keyword research, well seo’d , have original content, contact and disclaimer pages etc. Not to mention a load of diverse backlinks. Whatever the size, big or small most will win. (a few fail of course) theres only so much google can do in there algo changes. The above rules and always will unless the net changes dramatically all of a sudden. I say, relax, keep building the way you do, quality, seo and backlinks, you cant really go wrong. I agree that over analysis will kill you – but its good to at least know basically what is going on. Stick with what works, abandon what doesn’t – but definitely don’t over analyze things. This latest shift is an interesting one. It is also interesting that about this time last year this was a shift that put a little more focus on large authority sites like amazon. A coincidence that christmass is coming – maybe! What is also interesting is that google put out their new quality guidelines manual for manual reviewers and are putting some attention and effort in this direction in combination with the new algo change. I think it may be a possibility that the extra weight applied to authority sites and the algo changes that have affected lots of site owners are not necessarily the same change. I think they might be two separate algo changes made at the same time to create confusion, or one algo change that combined the too, but the result is the same. The question is why are they putting so much time and energy right now into manual reviews (in combo with the algo change). The one ‘theory’ that I have heard, that seems to make some sense to me (but of course it is just a theory) is that the algo change actually put weight on exact match domains to bring them up in the serps so that they can be reviewed manually in an effort to weed out sites that are poor quality. Also, in the new manual review guidlines. Google points out that a reviewer should not judge a site by the text ads (such as adsense) on a site but by the quality of the content on a page only. However, it is clear in these guidlines they are definitely going after “thin affiliate sites”, but not “thin adsense sites” (unless the content is crap). Fortunately, I have not been hit by this change, but I only have 5 sites, 2 of which are thin but the quality holds. For those larger sites of mine that are affiliate sites, I have a lot of non keyword targeted affiliate posts on the site to water down “commercial intent”. 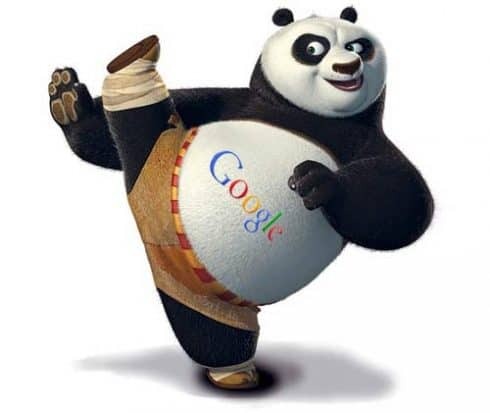 By the way Spenser – I love the google kung fu Panda pic! Thanks Darren! Great analysis. I have heard some of the same things about the manual reviews – and content truly is king. If your site wouldn’t stand up to a manual review then its probably not a good site. So, definitely create quality content that is organized in a easy to use and helpful fashion. Thanks for the thoughts! “I have a lot of non keyword targeted NON-affiliate posts on the site to water down “commercial intent”. Good post, I also noticed a drop in my sites, then about a week later they came back close to the original spots that they where originally. I have 1 adsense account but would like to get another (in order to diversify and protect my sites), would it be better to get a “Sole Proprietorship” or a “LLC” for the second account? I know the basic differences between the two, and I am thinking to lean toward the “SP” since the LLC route might be an overkill since this is not a typical business and I am not protecting any assets. Would this by the right thinking? Looking forward to your answer. Thank you! I am not 100% sure, but I believe to have a separate adsense account for a business you need a separate TIN. So a sole prop may or may not have a separate TIN (from your SSN). Anyway, an LLC is the way I have gone so I can advise in relation to anything else. I have been reading your site for awhile, it has been really interesting reading the perspectives of a young guy like yourself just getting started in this business. I find your posts very interesting so thank you for all of that. Congrats on your success online. You seem to work hard so I have no doubt you will do well. I rarely post a comment on anyone’s site but I felt like sharing so I hope you don’t mind. This will most likely be my only comment I ever make. I would highly recommend you make the move to creating large well researched and written authority sites. This is the time tested way to make money online. I make a high five figure full-time income online from only four websites. Yes, you read that correctly. Four websites. 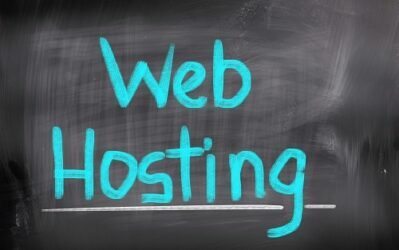 It makes renewing domain names and paying for hosting easy. I build one site every one to two years but every year my income increases. Every site I own has upward of 300+ content rich pages of well written original (as far as any of us can be original) educational, entertaining and enlightening content. Many of my articles are over 3,000 words. These four websites are real businesses that are never affected by Google algo changes except to go higher in the rankings for the individual pages. I research and write my own content. Never outsource. Never have and never will. This is my business so I create my own content by myself. I love what I do and those who visit my sites pick that up and return again and again. I love to write and help people. Those are my passions. When I first started in this business I did it because I loved doing it and the money was just a serendipitous result. I quit my previous job that I also loved and work online now in the world’s most perfect business. Being successful online is simple. It really is just follow your intuition. It is all you need. Just give the people what they want, what YOU would want if you visited your site. Let your rewards come from giving and serving those who visit your sites. I am proof that serving others works as a business model. Google, Yahoo, Bing will take care of themselves. People will find your site and they will reward you by sending lots of traffic and income your way through Adsense, CPA, CPC etc. etc. and the occasional affiliate offer. I have NO lists, NO squeeze pages and I have never done back linking. Never. I do NOT even know how to do that.But all of my sites have lots of links to them. I get many links from social media sites but it is from my visitor sites, not mine. I don’t even have a Facebook or Twitter page. I use email and my websites. I only do internal linking and natural linking – where others link to my content. Yes, this all works just like Google states in their documentation. It is a simple model but a very good one. Think about creating something valuable that people are helped by reading, watching, participating in, make it interactive. Make your content memorable. Not something that you think will make money or attract the search engines. Don’t do that. The best thing I could recommend to everyone reading this is to do what you love and love what you do. If you are in this just for the money then go find what you love and do that instead. Life is way too short to spend it just making money. After all you came into this world with nothing -no-thing and that is how you are going to leave. If you decide to stay in this business then stay with passion. Write and create every day like this will be the last thing you will ever do on this earth. After all it might be. If you need to learn about this business then study and digest the Google Webmaster Guidelines until they are second nature to you. That is all you need. I have been doing this for over 6 years now and it still works the same as when I started. Everything you need to know is free online. Stop letting the internet marketing “make money online” crowd turn you into their personal ATM machines. Keep your money. You don’t need to listen to them, just as you don’t need to listen to me. Just follow your heart and you will never go wrong. Yes, you will fail sometimes, I have but failure is a good thing, maybe the best of things as that is how we learn. Deep inside you exists all the knowledge you need to be successful in anything you want to do. Live your inspiration and be enthusiastic everyday in every way. That is all I have to say. Good luck, thank you for your time and best wishes to all who may read this. i am really agree with you, passion will make the differences and i am quiet impress with your results ! Are you writing a few huge articles everyday ? So you have 4 website earning in total over $50,000 per year? is that from Adsense or affiliate offers? And can i assume you blog on each one most days? Thanks for commenting (perhaps someday we can draw another one out of you)! I think you make some great points about a business model that works well for you. For those individuals that enjoy writing and are good at it – this may be a good approach. But for others that may be interested in building a bigger business, the feasibility of writing all of their own content is not very good. Some people will want to build dozens or hundreds of sites – and maybe all of them will have over 300 articles each – there is just not enough time in a day for one person to do all of that. This is why I have gone more of the “business system” approach as opposed to the “one man show” type business. Hire good writers and the quality of content is as good or better than the average person could produce. Either way, your thoughts are spot on in the fact that quality of content is the most important. Some will gravitate towards a few small sites and others will gravitate to holding a large portfolio of sites. Both are good businesses. Great post William! It’s nice to hear from someone who’s making a full time income online in a high-integrity way. Your method takes time, but I think there’s huge value in creating something that sticks vs. making a quick buck here and there, then having an algorithm change wipe you out. Spencer, it’s nice to see you actually got a bounce from the panda update. Our sites, not so much. I think it’s getting harder and harder to know what Google really wants because things are changing so often. Perhaps they want it that way. We’re going back to basics, especially in regards to link building. More of a slow and manual process, but i think it will result more stable sites. Well, I’m hopeful anyway. It’s funny….a day after posting this and I think Joe and I agree we’ve seen some movement up on some of our sites in the last 24 hours, actually. Yes, this business can certainly provide some headaches with all the fluctuations sometimes! Glad to hear that you have seen some movement up in the last day or so! you are right, I saw a huge change the 2o th of october (here in Spain) before that nothing really. 8 of my mini web site which were sandboxed for a few month recover to the 1st page (and still til today). and the other 50 mini site didn’t move ! in general i am quite happy !! Thanks for sharing Freddy, that’s great to hear! Hey Spencer, I’d love to share my story for sure. I was asking you about my most aquired niche site that I spent nearly 3-4 months building. Site was about 20 pages thick, and I was starting to get some nice traffic being that 4 of my keywords were top page of Google. All of a sudden, end of July and the entire site does de-ranked for a reason. We will never know. 2.5 months later I’ll still hummming and hawing over what to do with the daarn site. I continued drip feed back linking as previously, I added a few more pages content, I tried seeing if the pages were too optimized for the keywords, almost everything! Just then I was about to do what you recently did to your recent authority site; close it up and get a new domain….. until Oct 20th happened. I started hitting 90+% search engine traffic daily over 70 everyday since then. My entire site is back on first page and all that work is now working again for me! As if nothing was wrong. It was the most bizarre thing ever! I feel it was a blessing in disguise because I was losing patience, but now I know my system works its time to ramp up the game! Hope this helps any others that lost a great site, proof in the pudding that it sure can come back! Wow that’s great that your site came back like that! I have an older largish site that got a good bump in this latest update – go figure. I don’t add much to the site on a regular basis but I do move stuff around and add and delete bits and pieces. If your sites were dormant perhaps that made a difference. William, thanks for sharing – great advice. Ever thought of adding the Keyword LUV plugin? My biggest site also got hit… from number 1 down to 3, which wasn’t all that bad. The bad part was that I was ranking for another, better keyword that got significantly more traffic and it dropped down from 5 to 21. I’m planning on working on getting it back for that keyword. My Adsense has dropped, which is disappointing, but, I’m gonna keep writing great content and building links. Thanks for the update and transparency with how your sites are doing, Spencer. I’m glad your revenue didn’t take a big hit. Hey Kenny – best of luck getting all your keywords ranking again. This is awesome, Spencer. I had a few of my sites drop, but I now realize that I had no content posted to any of them for about a year. Looks like it may be time for some fresh content to get them back up the ranks. The site that didn’t loose rankings is my largest, but my smallest earner and while it has good on page SEO, it was never intended to be monetized and the content is little more than lists. This site is a little over 100 pages, the others are ~20 pages. All sites have strong on page SEO (tight silo structure, pictures, videos, WebContentStudio, and outbound links). Ironically the list site has 1,000’s of outbound links. All outbound links are do-follow. All sites are 1-2 years old. The 3 sites that got hit are PR 3-4, the other is PR 1. The site that didn’t get hit has a bounce rate in the 60%’s and time on site over 2 minutes. The 2 sites that were hit the worst have bounce rates of about 80% and time on site less than 1 minute (they are AdSense sites so click an ad and leave right?). All sites have under 2 pages per visit. I am a CPA so I loves me some analytics. I have not done much backlinking to the site that faired the best – it has however attracted 1K+ links mostly naturally as William states above. I tried all sorts of link building for the others as I learned this game, err business. At this point, my theory is this. Google evaluates the “usefulness” of pages and sites based on user behavior, quality of links, social signals, etc. I think this is different that determining “authority” based mainly on backlinks. For instance, I had about 10 new pages on a PR 4 site de-indexed (some of these were previously on page 2, with no backlinks, for 2,500 exact search keywords – presumably because the site was deemed an authority in its niche. If the Panda de-indexed these posts I imagine it also de-indexed many of the pages that linked to my sites. Basically, weak (easy to get) links (profile, bookmarks, UAW type, etc.) with no backlinks are worth very little. I use Backlink Energizer btw. My Panda hunting plan, for now, is to improve bounce rates and build layers of backlinks. Great analysis here David! I can see the CPA in your shining through 🙂 . 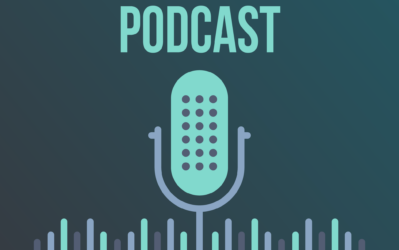 I agree that some of the signals that you mentioned such as bounce rate, social factors, and other are probably beginning to play a bigger role in SEO. From my affiliate sites – I’ve seen some small drops but overall income is quite stable as well as the rankings. The sites with the most diverse backlinking profiles are keeping their top spots. But my adsense sites (which are 3-4 page minis) were hit. Anyway, I haven’t invested time & effort to backlink these so it’s no surprise. I am not focussing on Google anymore.Its not the only search engine out there and it seems Google can game the rankings whenever they want. Its no your right but with over 60% market share in one platform its wheer the money is. What tool do you use to do you track your rankings over time? LTP & Spreadsheet or something else more automated? Dan, that is essentially correct. I have not found a tracking system that I really like yet (haven’t looked real hard either). Market Samurai has a good tracking module (however, it’s not part of the free MS). Brad Callen has a pretty good free tracking program called Rankerizer. SEOBook has a free Firefox plugin called Rank Tracker that if you pair with another free plugin called Site Rank Reporter lets you track/graph results in Excel. Spencer – It’s really weird because 14 minutes before receiving your email I received Fraser Cains, of KeywordStrategy. No problem John, great article. My website just got slaughtered. Went from being on page one past few weeks and prior to that just over into page two to nowhere to be found anywhere on google for the search term taste loss. I agree – I seriously doubt their results are “organic” they no doubt weight more favorable sites that make them money. I never made more than a couple of bucks a day, now I make zero. My previous search traffic per day was about 240, now 100. I’m toast. I have over 18 other sites that I’ve tried to make work and I make nothing. I am at the end of my rope. The only site that ever made a pittance got slammed. What’s the point in even trying? Obviously this game is rigged for the big boys with deep pockets. Sorry to hear about the drop of your site. It is indeed a tough business. I’m not an analytically minded person so I’m grateful that you are to explain this stuff for me, I don’t have any site results of my own to agree or disagree with any ones findings but I came across this accidentally, try searching for “white mountain ice cream maker” I’d like some opinions on the search result. After panda update my tech/authority site improved in traffic to my site. And I have few niche sites, on those list only one site which is having one post (less than 250 words) site got affected. And all other niche site don’t have any changes… I think if we are providing valuable information to our readers then we don’t need to worry about google panda update. Great comment – thanks for sharing! Some quick thoughts on the whole Panda update thing. “The mere act of monitoring something affects the outcome” if we did not know about Panda updates we would not be trying to analyse them. How many of the movements mentioned in this thread are in actual fact nothing to do with panda. But other algo changes, they happen all the time? Williams comments above are worth reading. As I said there im not an authority type of person but it’s still useful information. Every single one of my sites (including customers) is rising in Google or maintains its position (you can get past #1 , pre, post and during Panda 1, 2 and 2.5+. Except one! It’s a bigger authority site! But I know why it’s been affected. I’ve been using SEnukeX to create a lot of links in a short time frame. Firstly SEnukeX is a great tool. If you use it incorrectly its dangerous So what like a kitchen knife. I build 100’s of links and 10’s of complex link wheels using low quality content. The URL’S that I did that to on this site have dropped out of the index. URL’s that had diverse regular quality links built to them have stabilised or risen. So Google has even been able to differentiate by URL not just wiped out the site! The other cause of confusion on serps ranking is to do with the URL the keyword is ranking for. Very often when starting a new link building campaign I note the URL the keyword is ranking for. Not just the position. Its frequently the case that the site may be ranking for a keyword on the root of the domain not the target URL. Link building etc takes place and the ranking drop! The reason in that google algo has recognised the new links going to the URL for the anchor text and now that’s the authority on the site. But it has lower PR etc etc than the home page and therefore the ranking drops as a consequence of correct link building! Sometime later the ranking improve again as more links and authority attach to the “new” url. Another solution is to continue and to have the URL gain authority. I have experienced the same things except that my sites didn’t crawl back to where they fell off (yet). Question: do you think if a site fell back from #1 to #18 is it worth to do backlink building to get it back on the top? Or just leave it and create a new one in the same niche? This “new sites perform better than older'” thing is very intersting and I think this will be sorted out in a few weeks. What are your thoughts? I would build new links to get it back to #1. Perhaps consider adding more quality content, perhaps longer articles, etc. Thanks for your analysis and for sharing your thoughts on the recent Panda update. As several people have stated within the comments, we cannot figure out what the next move by Google is going to be…so I have changed my strategy a bit. I have completely given up on trying to rethink Google’s updates, rework any sites that are affected, etc. Instead, I have gone back to my original business plan, and am continuing to build both niche and authority sites. The sites all essentially start out as niche sites anyway, and over time, with attention, may gain authority status. And, yes, my sites are affected every time there is an update, but I was also slapped with some kind of penalty early this year, so I have been rebuilding my business anyway. The only difference is that I have decided to focus on my business plan instead of altering my plan every time an update is run and my rankings change. It may be the slow way to regain my income, but I believe it will ensure a stronger business in the long run. Thanks again for sharing accurate information through your blog. It is one of the few that I actually read on a regular basis. BTW: I bought your Longtail Pro, and it’s fantastic. I highly recommend it to anyone who is considering it. And, no I am not signed up for the affiliate program. Tammie – great insights. I agree that if you can focus on your own business model and how your sites will help its readers, then you can’t go wrong. Thanks for the positive remarks about Long Tail Pro! I just fully recovered last night and wrote about what I did. I am a niche website and had to make some changes. I hope you will be helped by what I did to recover from panda. All of my sites got blasted. Went down to about half of normal traffic on the first update and down to virtually nothing on the second update. This just after I renewed my domains. Nice. Any business model that depends on search engine rankings is not a very strong, consistent model. Back to the drawing board I guess. Sorry to hear about your sites Paul! I’d like to second what William Hanley had to say earlier. Many of your know me already, but in case you don’t, I’m the publisher of Universe Today – a space and astronomy news website I’ve been running for over 11 years. I currently get about 100,000 search visitors a day to my site. So, as one of the “big brand” people, I can confirm that it insulates you from the various Panda updates – so far, so good. The key is to choose a niche that you’re personally passionate and knowledgeable about. Don’t pick that niche because you’re hoping it’s going to make you money, choose it because you committed to providing value to people in the internet. There are so many low-quality sites out there, built because the website owner was hoping to make a quick buck. Stick at it for the long term. Create a career out of it, and be known for being the best at what you do. The only difference between my site, and many of your sites is purely time. I still sit at my kitchen table writing my articles. My “office” is a team of people working from their own homes around the world, but we can compete with the big guys because we focus 100% on giving our readers what they need. The solution isn’t to “diversify” with more websites. The solution is focus like a laser beam on the needs of your readers and solve the hell out of their problems. Thanks for your thoughts and GREAT insights! It certainly is sites like yours that we should all aim to achieve. 11 years and 100,000 visitors a day is no small achievement! Building a brand takes a lot of time and effort, but you are clearly showing that its worth it. Thanks again! Thanks for all the great info. I have a question. You have stated that you go for keywords that get 2,000-7,000 exact match searches. Using the Google Keyword tool it takes me forever to find a keyword in the range of 1,000-2,000 and finding anything over that is nearly impossible. How do you find such high exact match keywords? Do you use hyphens in your domain names? I think you are putting too much weight on exact match domains. I get them if they are available, but MOST of my domains are NOT exact match. 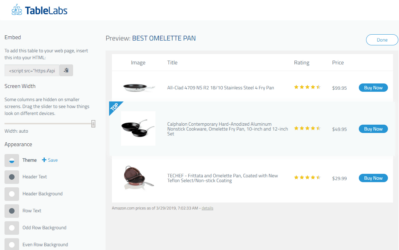 I look at the competition for a keyword and if its low I go for it whether or not the exact match domain is available or not – its an after thought. I still have a keyword rich domains with a prefix or a suffix; but having an exact match domain is not necessary – just nice to have. I do not use hyphens. Anyway, hope that helps! Thanks for the informative post Spencer. I was wondering if you noticed getting less traffic from your long tail keywords? For example, a couple of my sites are still ranking fine for their main keywords, but the long tail traffic is way down. I’ve seen several others mention that this happened to their sites, as well. Thanks. I would be interested in your advice. I just found an exact match domain with 8000 searches each month. The match is a common search related to a big brand. I’ve registered the domain. I was thinking of using Adsense and/or other offers. There’s definitely parallel interests the user will have so these would make sense. So, how do you think Google would view this sort of thing. I can get ranking based on achors associate with the brand. I have no intention to trick the user once they’re on the site to having them think it’s the brand’s site. I’ll make that obvious. Anyway, I’m concerned Google might not like it and ban my Adsense if they don’t. Or if no Adsense…de-index it. The brand is quite large. Thanks for sharing your thoughts and research on the topic. I was really hoping that Google Panda update wasn’t going to kill the niche websites. I’ve only scratched the surface with my niche sites and would hate for them to be massive affected after I’ve created 6 sites in the last two weeks all by myself. So as for my rankings since I have none for these new sites yet its okay. However my other website I’ve had for over 2 years appears to be generating more traffic now. Not sure why that is since you said your sites that were older lost more rank. Oh well I guess it worked in my favor. Fingers crossed that Google doesn’t do anything drastic in the next few months / years. The thing is, when you have a real BRAND, google traffic is more of a bonus than something you actually rely on. Getting real visitors to come to your site more than one or two times is what you want to achieve with an “authority” site. There is a difference between a branded authority site, and just calling a site an authority site because it ranks so well in google for a lot of keywords. Being google reliant is not authority. The first thought when I read your rankings and thought about a few of my sites that dropped off is the older ones. This might imply a panda penalty for not updating. Having old static content seemed to be fine in the past when lots of people always asked me how do you update 500 blogs. Now maybe google is adding the age of the content as part of the algorithm. This would cause significant problems with niche websites if they continue to expand this aspect in their results. Of course this is just a theory. What are your thoughts on this; by using Google analytics on your website you may be potentially shooting yourself in the foot. Think about it, you give them access to your bounce rate, visitors, etc and they can use that against you. I have heard this from several people, and I noticed you actually install it on your websites (pretty sure I read that somewhere, correct me if I am wrong), so I would just like your thoughts on that. Anyhow, I just purchased your software and can’t wait to start building some niche sites. I stopped using google analytics for a while and was using Piwik stats. But I like Google Analytics better. Also, I decided if I’m building sites Google should be happy with, then I should have nothing to hide. I’m back to analytics and haven’t had any issues. I like Analytics, especially the new inpage report. I realise now that header links and opening paragraphs are absolutely crucial. I’ve now redesigned my sites to make sure I answer the key questions in my niches by putting in a lot of effort into naming my top links carefully. Interlinking is a strong way of organizing the framework of your site. Connecting your various posts offering each various other is effortless more than enough. Effectively interlinking your posts will make it easier for online search engine to crawl through your site’s content.